Welcome to QALL's home on the web! Providing spring and summer Softball, Baseball and T-Ball fun to the families of Queen Anne Hill. Please select from the menu options and contact our league officials if you need additional help. Join us on our Facebook group - Queen Anne Little League - and on Twitter - @QALittleLeague. Updates are posted throughout the season and it’s a great way to keep in touch with other QALL parents and coaches. Field Closure Hotline - 206-233-0055 (call after 3:30 pm for daily field availability) or sign up here to receive daily rain out notifications. Buy Your QA Mariners Little League Day Tickets Today! 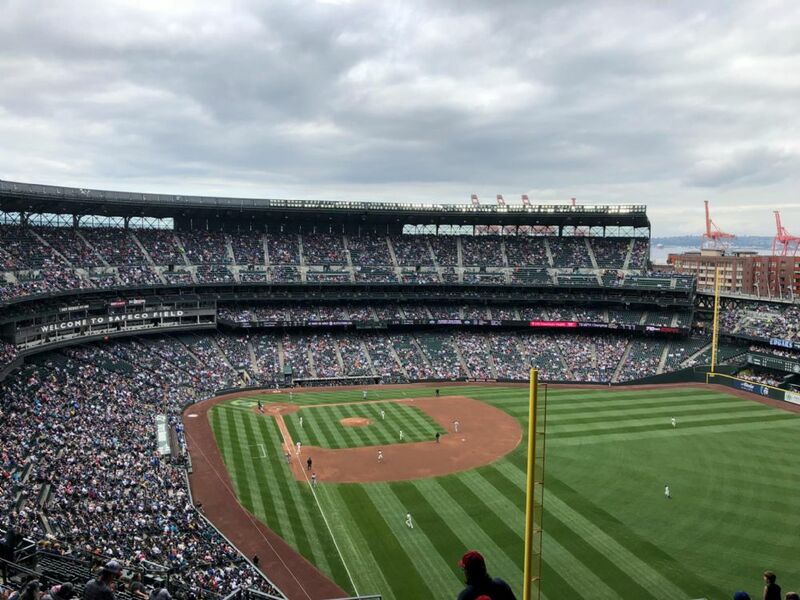 The M's are off to a hot start in 2019, and Queen Anne Little League is participating in Mariners Little League Day on Sunday, May 19th at 1:10pm when the Mariners host the Twins at T-Mobile Park! All of our Little Leaguers, plus family and friends, are invited to participate. View reserved seats are $14 per ticket, and everyone is welcome to help represent QALL in the Little League Parade on field in advance of the game! QALL sold almost 500 tickets in 2018. Can we meet or beat that in 2019? Ticket purchasing is live! Order tickets now for your family and friends, not just QALL players, here! Friday, May 3rd is the deadline to place your order. If you have questions, please reach out to our coordinator, . See you at T-Mobile Park! The Mariners offer summer baseball and softball camps in Washington and Oregon. Mariners Grand Slam Camps provide a unique experience developing skills for all players, whether they are beginners or advanced. Campers are grouped by age and ability and coached by professional educators, former pros and current college players. This allows the instruction and experience to match the level of all campers who attend. Visit Mariners Grand Slam Camps for more information.